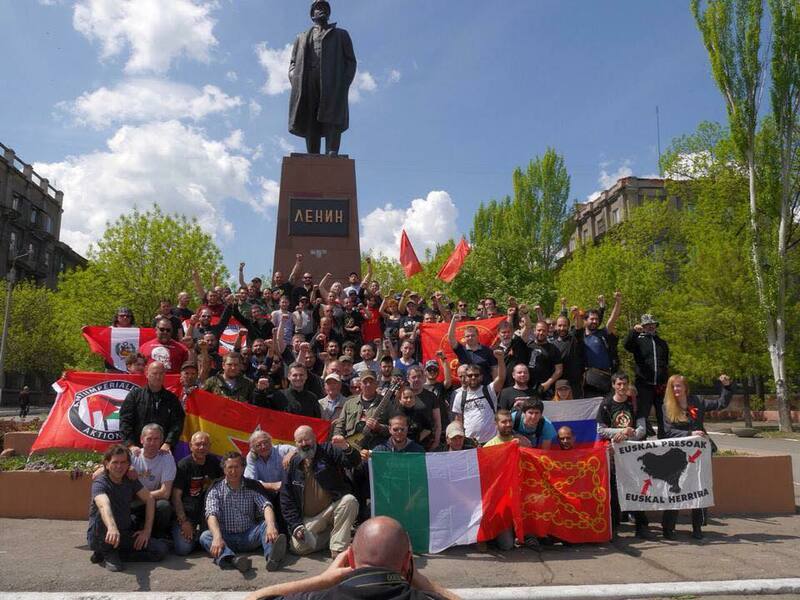 A delegation from the British campaign ‘solidarity with the antifascist resistance in ukraine’ (SARU) participated in the Banda Bassotti antifascist caravan to the Donbas along with delegations from Italy, Greece, Germany, Sweden, Switzerland, Russia, Spain, Poland, Ukraine, Turkey and Peru to bring humanitarian relief and show solidarity with the people’s of Donbas in their struggle against the Kiev Junta, a coalition of neoliberal thieves and fascist thugs brought to power after the western backed coup in February last year. The caravan visited a number of social projects in the Luhansk people’s Republic which included a social restaurant run voluntarily to supply free food to over 700 residents of Alchelvsk who’s pensions and social provisions have been frozen by the regime who would face destitution and starvation otherwise. 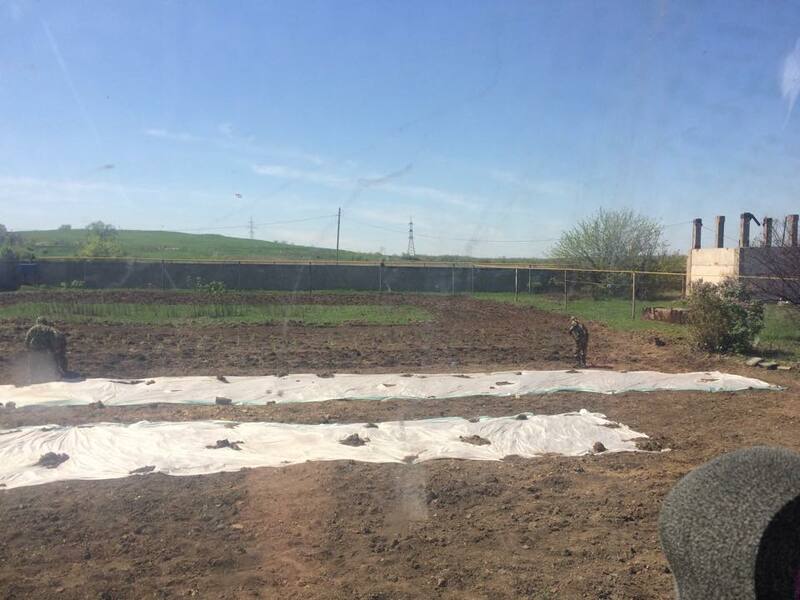 The food for the restaurant is supplied from a farm owned collectively and run by Prizrak ‘Ghost’ Brigade volunteers. The Caravan also visited a metal fabrication plant also collectively owned by the people in the process of being developed and restored where we heard from Commander Mozgovoy about plans for the further development of agriculture and industry under collective ownership for the benefit of the people. The delegation participated in the Donbas International Antifascist Forum which was attended by left groups, trade unionists and international delegates who resolved unanimously to adopt the following statement and program [see PDF here]. The caravan joined the people of Lughansk oblast in the 70th anniversary of the victory over fascism where Banda Bassotti put on a concert for the people in a city where such celebrations hadn’t been celebrated since the fall of the Soviet Union. The people were overjoyed to see such a contingent of international solidarity and the resulting celebrations were emotional for all. The people of the Donbas heroically resisting the forces of fascism and oppression as their forefathers did 70 years ago must be supported by the international working class of every nation. The rise of fascism isn’t a problem of Ukraine but a problem for the world and humanity. We must unite as did generations before in Spain and Europe against the brown plague and in solidarity with the people’s of both the Donbas who demand simply their democratic rights and those still under the boot of the western backed Kiev junta. SARU would like to offer our sincerest thanks to Banda Bassotti for organising the antifascist caravan, Prizrak Brigade for hosting the caravan, the organisers of the Donbas International Forum for organising this initiative, the international delegates and of course the generous and heroic people in struggle in the Donbas and Ukraine against the forces of imperialism, fascism and corporate rule. We call on the organised working class and left of all nations to support the program of the Donbas International Forum and to stand in solidarity with the people’s of the Donbas in their quest for peace, democracy and freedom. We commit ourself to redoubling our efforts to build the solidarity movement against the role of the British State which has sent workers tax money to support the Kiev junta along with diplomatic cover and troops to train the fascist punishment battalions responsible for the deaths and displacement of so many people and the destruction of civilian infrastructure and homes. Once again the British state has so slavishly followed the imperialist agenda set by the U.S. And implemented via the EU and NATO against the interests of the working class of all nations. This entry was posted in Events, Solidarity and tagged antifascist, Donbas, forum. Bookmark the permalink.